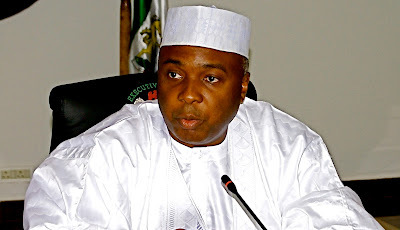 Senate President Olubukola Saraki has denied claims that his son is being groomed for 2019 Kwara State Governorship race, saying the boy in question has no love for politics. “You know it is not easy for children who are born to politicians, especially in this time, to embrace politics. When I was much younger, we were insulated from some of the political issues, and because we didn’t read the newspapers, we didn’t know what was happening. “I reluctantly went into politics, you can go and check. Once or twice, I was given the form to run for House of Representatives, and I remember I just travelled and disappeared for months. After seeing what my father had been through I thought to myself that this is not for me” he said.